Next Generation. The most popular choice for all sizes and types of facilities, these treadmills are found in premier fitness centres around the world. Maintenance is a cinch with Rapid Works™ service enhancements and patented Everwax™ automatic wax lubrication system. It features Flex Deck® shock absorption system, and its wide running surface is suitable and comfortable for most users. Standard is the, Lifepulse™ heart rate monitoring system with hand-touch sensors in the Ergo™ bar and Polar® telemetry system. Its features are endless, with a remarkable ease of use. 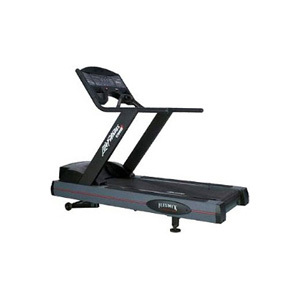 This fully featured tread is the top choice in top facilities.